Fibromyalgia comes from the Latin word “fibro” which means a fibrous tissue and the Greek words “myos” and “algos” which respectively mean muscle and pain. It is a chronic condition characterized by pain in the soft tissues of the body. Following osteoarthritis, it is a common musculoskeletal disorder. However, many misconceptions surround this condition and it is often misdiagnosed. The causes of fibromyalgia are as yet unknown. However, doctors believe that a combination of factors may be responsible for the onset of the condition. Fibromyalgia is classified as a syndrome, not a disease. A disease is a condition with clearly defined causes and symptoms. Since the exact causes of fibromyalgia are unclear, it has been characterized as a syndrome. Fibromyalgia may occur due to stress or traumatic emotional or physical event. Post-traumatic stress disorder has been known to cause fibromyalgia. A physically traumatic event, such as a motor vehicle accident, can also result in fibromyalgia. Other causes include rheumatoid arthritis and lupus. Sometimes people who suffer repetitive injuries can develop fibromyalgia. Some doctors believe that part of the cause may be genetic, that is the incidence of fibromyalgia depends on how our genes deal with the sensations of pain. It has been found that women, who have a family member suffering from fibromyalgia, are at greater risk of developing the condition themselves. This provides further proof that the condition may be hereditary. Unlike arthritis, fibromyalgia does not cause damage to bone tissue and joints. It does not damage soft tissues, such as muscles and tendons, either. The condition is characterized by a debilitating pain in the muscles and joints. So, it can adversely affect a person’s quality of life. Living with fibromyalgia is no doubt very difficult, especially when the pain becomes severe. However, this does not mean a person suffering from fibromyalgia cannot lead a normal life. Many sufferers fear that they will not be able to work, or that they would eventually lose their jobs. But the effectiveness of treatment depends on the patients themselves. Those who suffer from fibromyalgia must show enormous tenacity in managing their symptoms. They must ensure that they take the proper medication on time. An active lifestyle also helps to relieve stress and reduce symptoms of depression. Regular appointments with a physical therapist and massage therapy help relieve pain and allow people to move about easily. The patient must be highly involved in their own care. If a particular treatment isn’t working, then you need to discuss it with the doctor and decide on alternative treatment options. Fibromyalgia is not easy to treat. Since there are a variety of symptoms, the treatment methods may also vary accordingly. It is important for a patient suffering from fibromyalgia to be treated by several different health professionals in conjunction. This may include a general physician, a physiotherapist, and even psychologists. The most important factor in effective treatment is patient compliance. Patients must be willing to follow their doctors’ recommendations to the letter and stick to the treatment plan. Some patients report positive results from complementary therapies, such as acupuncture and chiropractic care. As certain cases of fibromyalgia may result from stressful life events, psychotherapy has been found to be quite effective. Therapies that focus on behavioral modification have also been found to be effective. There are also other treatment options such as using a pain relief medication which helps to improve joint health. You can take a quick scan of Omega XL Review which could be an option for the joint health supplement. As mentioned earlier, there is a lot of misinformation and misconception surrounding fibromyalgia. Some people suffering from fibromyalgia may believe that if they just ignored the symptoms, they will disappear with time. However, this is simply not true. The pain may slowly become severe and debilitating, preventing people from living their lives normally. Additionally, the psychological stress and trauma that underlie fibromyalgia cannot be ignored. The symptoms of depression and anxiety may worsen over time, along with the pain. So, psychotherapy from a trained professional is important to help patients manage their stress. As of yet, there is no known cure for fibromyalgia. However, people suffering from the condition should not lose heart. Treatment for fibromyalgia has improved significantly in the past few years. Patients must remember to adhere to their treatment plan, even if they feel disheartened. Only by sticking with treatment will the patients slowly experience improvements in their mental and physical health. According to reports, about 1 in 73 adults in the United States suffer from fibromyalgia. The American College of Rheumatology estimates that 3 to 6 million people in the USA suffer from fibromyalgia. 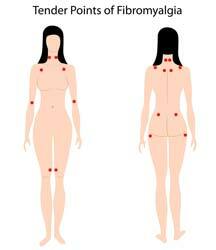 According to the National Institutes of Health, 90% of all sufferers of fibromyalgia are females. However, men and children may also be affected. Can People Have Fibromyalgia and Multiple Sclerosis at the Same Time? Since the two conditions are completely separate, with different causes, it is possible for a person to have both multiple sclerosis (MS) and fibromyalgia. However, there is no evidence indicating that fibromyalgia increases your susceptibility to MS. Fibromyalgia occurs more commonly than MS. Complicating matters is the fact that the similar symptoms, as well as the fact that both conditions are very difficult to diagnose, makes it very challenging for doctors to figure out whether a person has both fibromyalgia and MS. 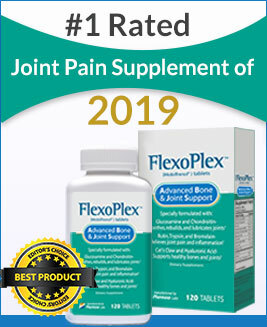 If the pain caused by Fibromyalgia becomes too intolerable, you can use a pain relief supplement such as Fibrolief Support Formula to get rid of pain instantly.